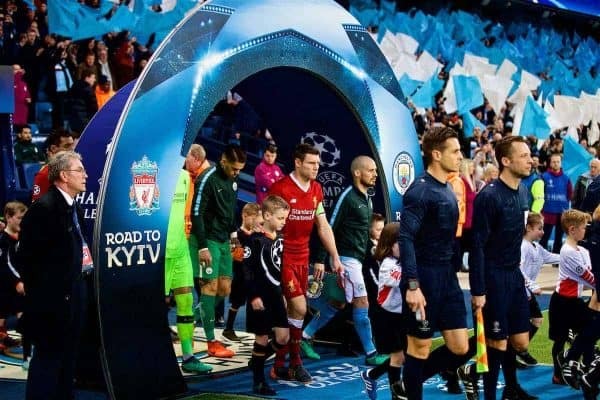 Liverpool travel 40 miles east to face Man City in the second leg of their Champions League quarter-final. We’re live to bring you the latest. Kickoff tonight is 7.45pm (BST), and the referee is Antonio Mateu Lahoz (ESP). Note: adblockers may need to be turned off to view the blog above this. App users click here.